To lock in this price for 14 days, be sure to register the sale of your iPad Pro 2 12.9 Wi-Fi + Data now. Gadgets decrease in value over time and the price above can change at any point, so don't delay and sell iPad Pro 2 12.9 Wi-Fi & data! How much is my iPad Pro 2 12.9 Wi-Fi + Data worth? Selling your iPad Pro 2 12.9 Wi-Fi + Data with us can earn you a great bit of cash. The price quoted depends on the network for some devices, so to get an instant quote to sell your iPad Pro 2 12.9 Wi-Fi + Data, just select from the few options above and you can see the price we will offer you instantly. How Do I Sell My iPad Pro 2 12.9 Wi-Fi + Data? It's really simple to sell your iPad Pro 2 12.9 Wi-Fi + Data to us. All you have to do is select the relevant options for your device above to get an instant quote and then click "Sell Now". Fill in your details at the checkout page and then just click "Confirm Order". It really is as easy as that to sell iPad Pro 2 12.9 Wi-Fi & data! Why Should I Sell My iPad Pro 2 12.9 Wi-Fi + Data to GadgetReclaim.com? 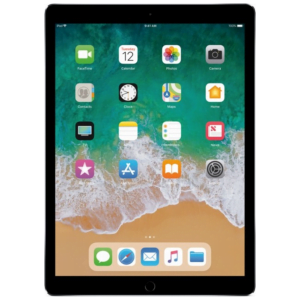 Whilst there are a lot of companies who will buy your iPad Pro 2 12.9 Wi-Fi + Data, we at GadgetReclaim are one of the best. We pride ourselves on our honest and quick service and fast same day payments. We offer some of the best prices for you to sell your iPad Pro 2 12.9 Wi-Fi + Data. You only need to take a quick look at our independent customer reviews over at TrustPilot and you will see for yourself just how good we are! So, if you are thinking, Where can I Sell my iPad Pro 2 12.9 Wi-Fi + Data?, then sell it with us the simple and effortless way and get free postage, fast same day payments and all of this in a super quick time frame, as well as getting some serious cash for your unwanted iPad Pro 2 12.9 Wi-Fi + Data!